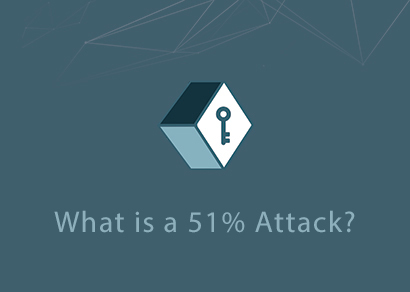 A 51% attack describes a situation where any party (or parties who are working together) has control of over 50% of the overall network, allowing them to manipulate the network in a number of ways. With majority control, an attacker can exclude and modify transactions occurring on the network. In other words, a third party with malicious intent who controls over 50% of the network would be able to send Bitcoin to one address (typically an exchange), then double spend that same Bitcoin and send to another address (typically another wallet they control). For example, let us pretend that I have achieved majority control of the Bitcoin network hash rate and currently own 1 BTC. From my wallet, I would be able to send my 1 BTC to an exchange, then go back and send that exact same BTC to a new wallet by overwriting the first transaction as if it never happened (after it was successfully deposited on the exchange). I can now sell the 1 BTC on the exchange for a different coin and withdraw them while still retaining ownership of my 1 BTC in my new wallet by overwriting the chain. I can repeat this process as long as it is possible for me to do so and reap a large profit. Because exchanges are the primary target for this type of attack, they typically require high amounts of network confirmations before funds are available for trading. This ensures that any funds deposited have a lower chance of being subject to a double spend attack. The more confirmations required – increasing the length of the chain – the more expensive it will be to overwrite the chain and continue their attack on the network. The reason we do not see these types of attacks on a regular basis is simple; it’s typically really expensive to successfully carry out, regardless of consensus method. Not only would it require an astronomical upfront investment in computer equipment to achieve a high enough hash rate to successfully attack a network such as Bitcoin’s, but by doing so you immediately make aware the other validators of your intentions. This could result in the market selling the news, resulting in drastic price drops – therefore making the hackers attempts less profitable by the minute – and a tainted network reputation in the future. In order to successfully carry out a 51% attack on a network using Proof of Stake, one would also face significant financial barriers. The malicious party would have to buy up a majority of the tokens on the market, exponentially increasing the cost of doing so in the process. By the time they acquired the needed token amount, the cost of doing so could possibly outweigh the benefits from having this control. Having majority of the network hash rate or token supply doesn’t automatically guarantee you control, but it gives you better odds of overpowering the other validators to reach the consensus you want. This type of attack is extremely rare but does happen. Regardless of which consensus method is utilized, a 51% attack on the network will have a substantial effect on the market dynamics of the coin.